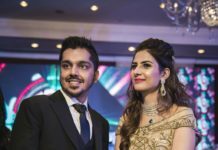 Wedding Connections Aids Himmat and Taranjot To Get Hitched In A Desi Style - Wedding Affair var admin_url = "https://weddingaffair.co.in/wp-admin/"
UK based groom Himmat exchanged the vows with his gorgeous bride Taranjot over a two-day affair from February 20-21, 2018. The wedding extravaganza took place at several plush five-star hotels of Udaipur. The luxurious hotels where the marriage ceremonies took place included the Oberoi Udaivilas, the Trident and the Radisson Blu. the couple wanted a desi experience for their NRI guests. To help them make their day grand and unforgettable, the Wedding Connections worked out each and every detail of the ceremony so that the wedding didn’t lose the royal touch. 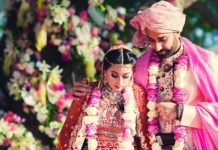 The Sikh-style wedding was nothing short of a traditional royal wedding. The mehendi ceremony showcased the exquisite Rajasthani theme, the bright hues and vibrant embellishments made the venue even more exotic. While the mehendi ceremony was all colourful and vibrant, the Sangeet ceremony marked by subtlety and elegance. The sangeet ceremony was held at the beautifully decked up regal lawns of the venue. The final wedding ceremony took place at serene a gurudwara adored in fine pastel hues. The venue for dinner reception was Sufi-inspired. The fusion of candle lights, fairy lights and the red roses made the venue look sophisticated yet surreal. 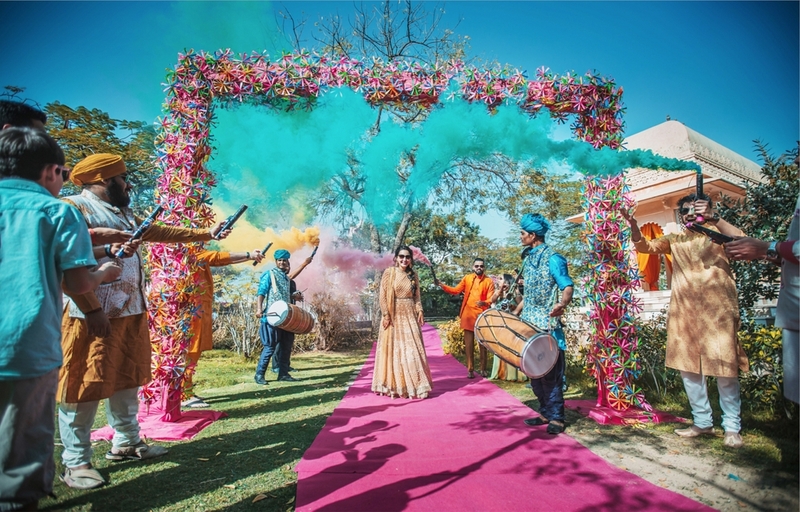 Decked up with the right hues, each and every venue for different ceremonies opted for looked majestic. The couple’s attire to the decorations to the colour scheme, everything was planned out with finesse and perfection. The two-day wedding of Himmat and Taranjot was a perfect intermingling of art, entertainment and regal essence.